This colourful tasty dip is ideal for parties or make a smaller version for your own vibrant light lunch! The recipe is from Alice Sherwood’s ‘Allergy-free Cookbook’ which has a wealth of ideas for gluten, dairy, egg and nut free meals, snacks and desserts. Peel and mash the avocadoes with the lemon or lime juice. In a glass bowl, layer the ingredients starting with the beans as the base, then the avocadoes, soured cream or yoghurt, green peppers, olives, tomatoes and red onion. Top it all with cheese, coriander and spring onions. As a guide to quantities, 1 cup of nuts to 4 cups of water will give you 2-3 cups of nut milk plus the leftover nut solids which you can use in baking or add to cereal or yoghurt. Soak your nuts for 8-10 hours, (overnight ideally) then strain the soak water off and discard it. Grated creamed coconut does not need pre-soaking. Place the nuts and 4 cups of plain water in a blender along with your chosen flavouring. Blend the mixture for a couple of minutes. Line your container with the fabric (or nut milk bag) so that the fabric dangles halfway down the inside of the container and overlaps the edges. Secure the fabric around the edge with string or an elastic band if you wish. Pour the mixture into the fabric and leave it to strain through. Once the milk has stained, pop your jar of fresh nut milk into the fridge where it will keep for 2-4 days. Enjoy! This recipe works well with chicken, turkey or any firm white fish too. Slice the salmon into thick strips. Mix together the crumbled oatcakes, coconut and rice flour. Dip the salmon in the beaten egg then coat thoroughly in the dry mixture. Grill until cooked through. Serve with dips and vegetable crudites. In a large bowl mix together chopped cooked beetroot, sliced mango, pomegranate seeds, 2 handfuls of mixed leaves (rocket, watercress, lambs lettuce, pea shoots, spinach – any green leaves); sliced avocado and a tablespoon of pine nuts. Dress with a blend of flax oil, wholegrain mustard and lemon juice. 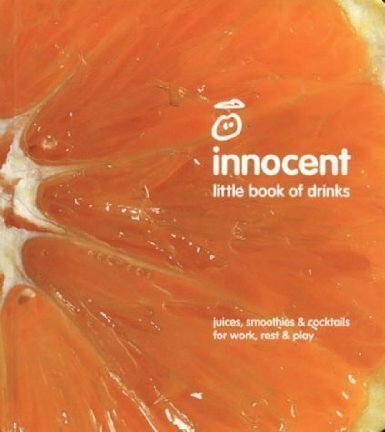 These fantastic juice ideas are from the ‘Innocent Little Book of Drinks’. Simple, tasty and guaranteed to wake you up! Remove the stalk from the spinach and put the leaves through the juicer. Put the juice in a jug. Cut the apples into wedges, juice and add to the jug. Add the lemon juice and grated nutmeg, stir well and serve. Top and tail the carrots, put through the juicer and pour into a jug. Squeeze the grapefruits and add the juice to the jug. 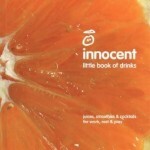 Mix and drink. Cut the apple into wedges, put through the juicer and pour the juice into a blender. Halve the peach, remove the stone and place the halves in the blender. Squeeze the orange into the blender. Add the redcurrants/raspberries and whizz everything until smoth. The beautiful sprout must be the vegetable equivalent of Marmite – loved and hated in equal measure. These little round brassicas are packed with folic acid, vitamin B6 (good for low mood and ‘winter blues’) potassium, fibre and glucosinolates; plant compounds with cancer-fighting powers and can be enjoyed for the next few weeks of Sprout Season not just on Christmas Day! 3. Fruity Sprout – add finely chopped raw sprouts to a salad mixture of lambs lettuce, yellow peppers, cherry tomatoes and pomegranate seeds. Dress with olive oil and balsamic vinegar. 5. Hidden Sprout – sneak any leftover sprouts into a rich warming turkey stew! And for even more tasty ideas, click here! In a pan, add 2 tablespoons of golden linseeds to 1.5 litres of water and bring to the boil. Switch off the heat and leave the mixture to stand for 12 hours or overnight. Reheat and simmer for an hour with the lid on the pan. Strain the seeds off and keep the remaining thick liquid in the fridge. To make a tea with it, dilute a 50/50 mixture of linseed tea and fresh hot water. This recipe is from ‘Cellular Awakening’ by Barbara Wren, Hay House 2009. Sift the flour and mixed spice into a mixing bowl. Add oats and sugar and mix together. Make a well in the middle of the bowl and pour in the egg, pumpkin, prunes and butter. Using a large metal spoon, stir quickly until the ingredients are mixed. Drop spoonfuls of mixture into muffin cases, filling each case two thirds full. Bake at 200*c for 20mins or until the muffins are golden, well risen and cooked through. Leave to stand for 1 minute before putting them onto a wire cooling rack. Preheat the oven to 180*C/350F/gas mark 4. Dice the butternut squash and gently roast until soft. Allow the squash to cool slightly then place in a food processor with all the ingredients except the spring onions, pumpkin seeds and feta and blend until smooth. Stir in the spring onions and half the feta. Pop the mixture into muffin cases then decorate the muffins with the remaining feta and pumpkin seeds. Bake for 35-40mins. Allow to cool and enjoy!